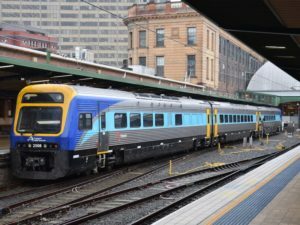 Customer focused, technology driven services with better regional connections will become the future of the NSW Transport system, with a new draft 40-year blueprint unveiled. Roads, Maritime and Freight Minister Melinda Pavey and Transport and Infrastructure Minister Andrew Constance released the Future Transport 2056 draft regional strategy, which outlines improvements to the network over the coming decades. Better regional inter-connectivity, enhanced East-West links and easier access to ports and other facilities will be an important focus, along with improving safety, reliability, efficiency and integrating services. Extensions of the electric rail network into Bathurst, Goulburn Telarah and Bombaderry. Upgrading and sealing major roads like the Kidman Way, Barrier Highway, New England Highway, Sturt Highway amongst others. Better connections between regional communities with larger centres, such as the expansion of a booked bus service trial currently underway between Tottenham, Albert and Dubbo. Continuing the Fixing Country Rail program which will look at line reactivations where there is the potential for significant freight demand. Better East-West Connectivity and port access, including the Maldon to Dombarton link to meet future port demands. The draft Future Transport 2056 strategy will be open for comment until December 3. To view the strategy, please click here.